After making plenty of announcements about which humans will act in and direct the new Star Wars movies, Disney and Lucasfilm are finally branching out. As reported by the BBC, the UK will also be making a Star Wars movie, with one of those standalone origin stories—along with Episode VII itself—being filmed at London’s Pinewood Studios. 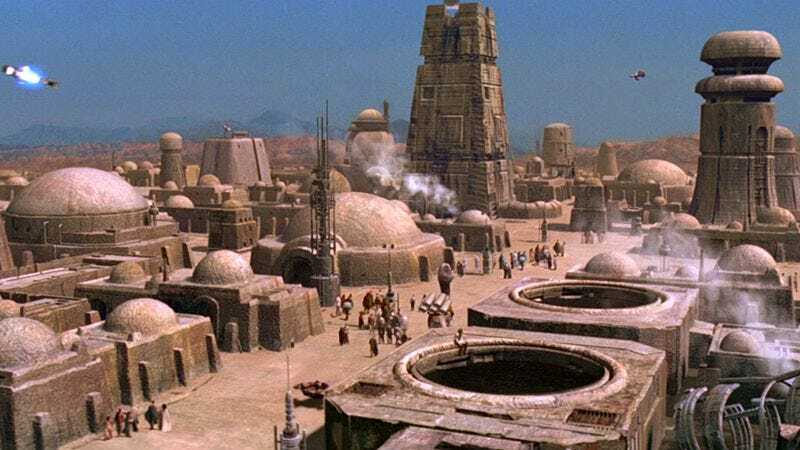 As the BBC points out, the original Star Wars trilogy and The Phantom Menace were filmed in the UK as well. The other two prequels were filmed inside computers, so Episode VII returning to physical British stages could be taken as a bit of a return to the traditional values of those older movies. That’s presumably the message that Lucasfilm is going for, at least. We previously reported that humans Gareth Edwards and Josh Trank would be making Star Wars spinoffs, but this is the first we’ve heard of a whole country jumping in. While England’s track record appears pretty good—with classics like 28 Days Later and Love Actually on its résumé—it’s also a country known for some pretty deplorable acts of imperialism a few centuries ago. America, the birthplace of Star Wars, did once fight a war for independence from England, after all. As with any filmmaker, though, we just have to measure the good against the bad and hope for the best. Will we get the England of Russell Brand or the England that fought against the Nazis? Only time will tell.